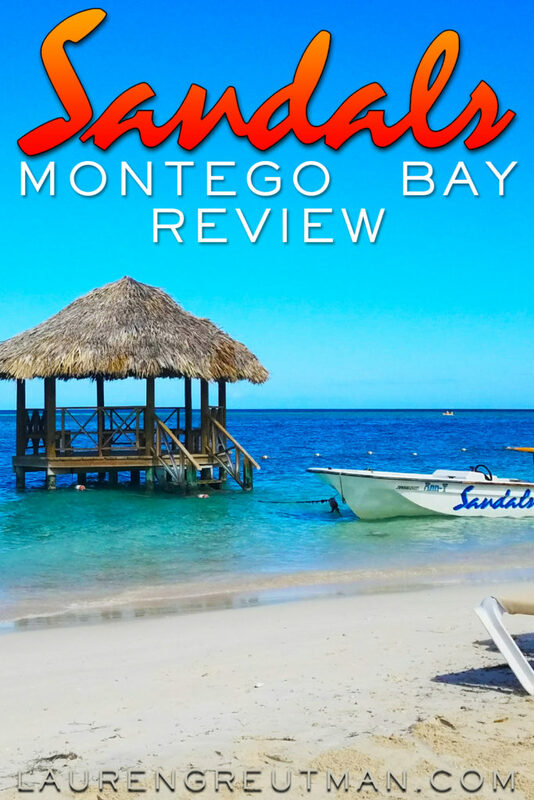 Sandals Resorts Montego Bay Jamaica Review - everything you need to know! Mark and I have been married for almost 15 years. We were married at the young age of 21 and still in college. And when 2 broke college students get married, there isn't much money for a honeymoon. So our very budget-friendly honeymoon was at the Jersey Shore and we stayed in a beautiful bed and breakfast. Don't get me wrong, we had a great time… but we always wished we had gone somewhere tropical. Fast forward 15 years and we were ready to get a vacation away from the kids! 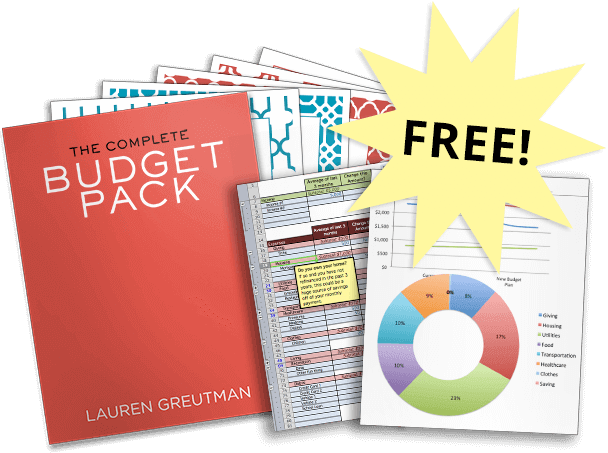 Over the past 15 years, we have had times where we were in debt up to our eyeballs, we learned how to budget, and we paid off our $40,000 of debt. We also had four children (ages 3-11) and have never been away from them on a vacation longer than 2 nights. We had been setting money aside for a vacation. And because we had a certain amount of money in our savings, we wanted to look for an all-inclusive. Friends of ours that travel often suggested we looked into going to Jamaica. The flights are reasonable, the beaches are amazing, and the food delicious. I looked around and found the Sandals resort in Montego Bay. It looked beautiful in the pictures, it was freshly updated, and it was all-inclusive! I booked four nights at the resort with money that I have put away in my Smarty Pig savings account. We didn't go through a travel agency, I actually worked directly with the PR company that books media for trips. It was easy and pain-free! 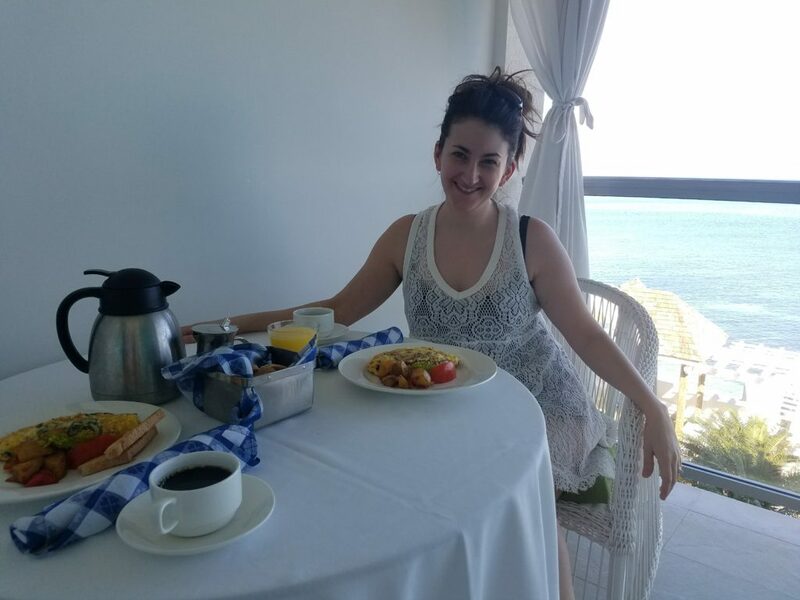 I've never been to an all-inclusive resort before, but one thing that I loved about it is that I could really stick to a budget. We knew our trip would cost us X amount of money, and that is exactly how much money we spent. No spending money going out to eat. No spending money renting a car. No spending money on evening drinks – it was already paid for! We brought a $100 in cash just in case and ended up spending that at the gift shop to pick up some gifts and treats for our kids. Surprisingly, it is a really budget-friendly way to travel. We opted to pay for Club Mobay which is a private service where you get to skip the customs lines. During the busy hours in the airport, you can stay in line for up to 3 hours, which is the worst thing when you first arrive and are ready for the beach. 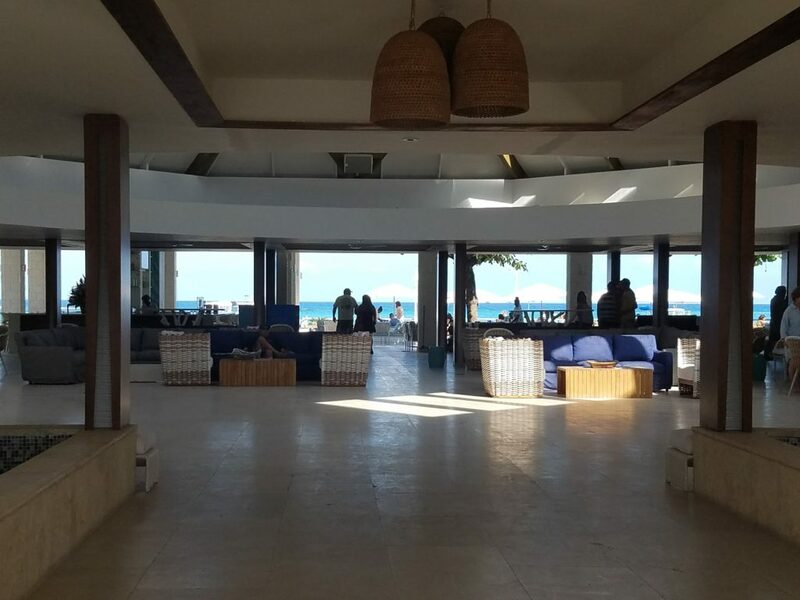 By purchasing Club Mobay we were able to bi-pass all of those lines and get a straight shot through customs. It does cost you $50 per person, but it was well worth the price! Once we arrived I was SO impressed with the resort. As soon as we walked in we were struck by the enormous lobby and lounge, which opens up directly to a gorgeous view of the ocean. Sandals were so generous with us and gave us a BEAUTIFUL ocean front room. 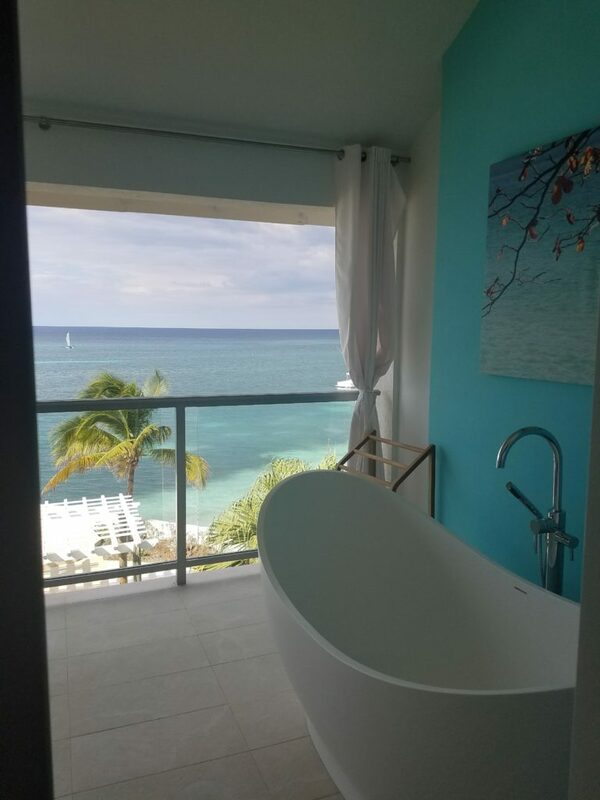 There was an amazing white bathtub on the balcony, and we woke up to the sounds of the ocean. The room was spacious with a king-sized bed, a large dresser, flat screen TV, and 2 arm chairs. 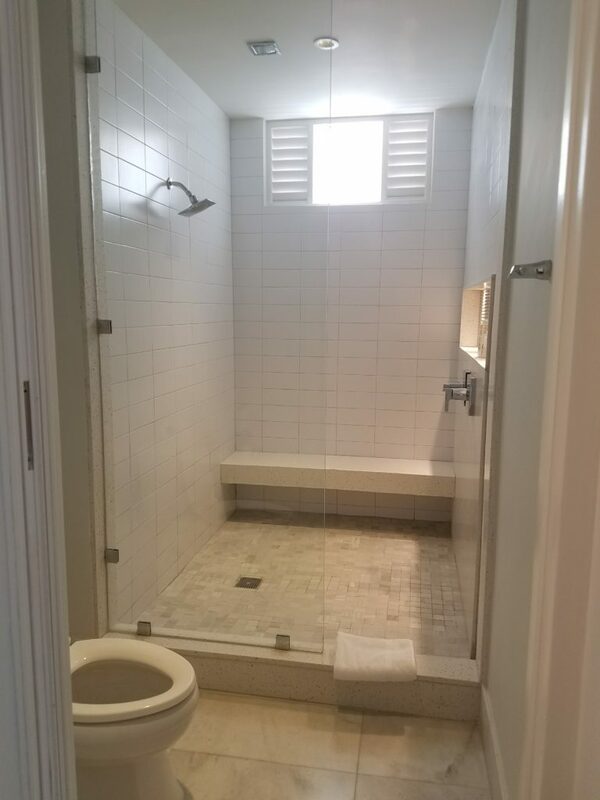 The bathroom was enormous with a huge walk-in shower, a large closet and double his and her sinks. Our room was located in the Almond building of the resort. Everything has been recently updated and it was absolutely beautiful. We had a fully stocked bar in our room that was all included as well. The food was DELICIOUS! There are seven different restaurants to eat at the resort. You can get room service for any meal. The first morning we were there we got room service just because we wanted to sleep in and take our time. The beach was perfect. The first full day we were there the water was calm and bright blue. The 2nd and 3rd days it was windy which made the water murky and rough. Those days you were not allowed to do any of the water sports, so we opted for hanging out on the beach and in the hot tub. 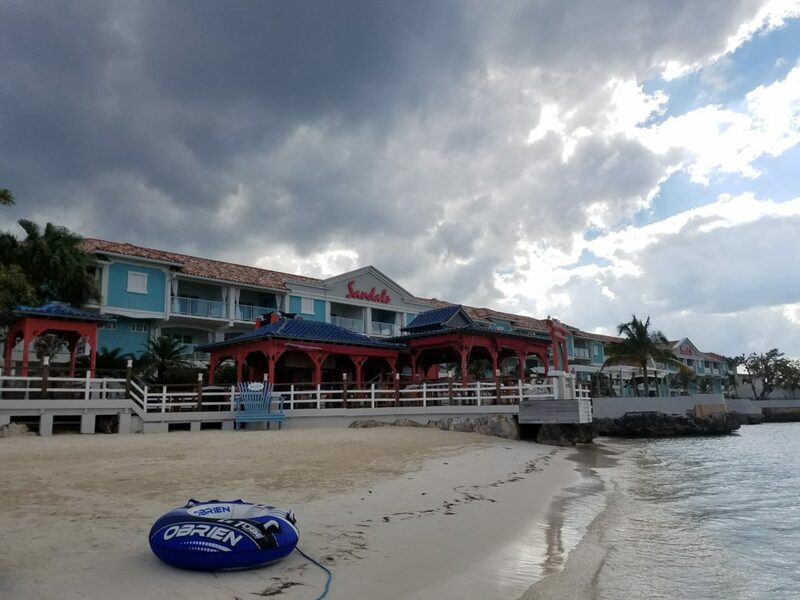 So here's another cool thing about Sandals resorts that came in handy on those days where the water was a little rough… when you stay at Sandals they will give you access to the other Sandals resorts for free. We took a 10-minute shuttle to the Royal Caribbean resort on the 3rd day to check it out. Since the beach at the Royal Caribbean is located in a harbor, the water was beautiful, clear, and calm. So we decided to stay there for the day to swim. 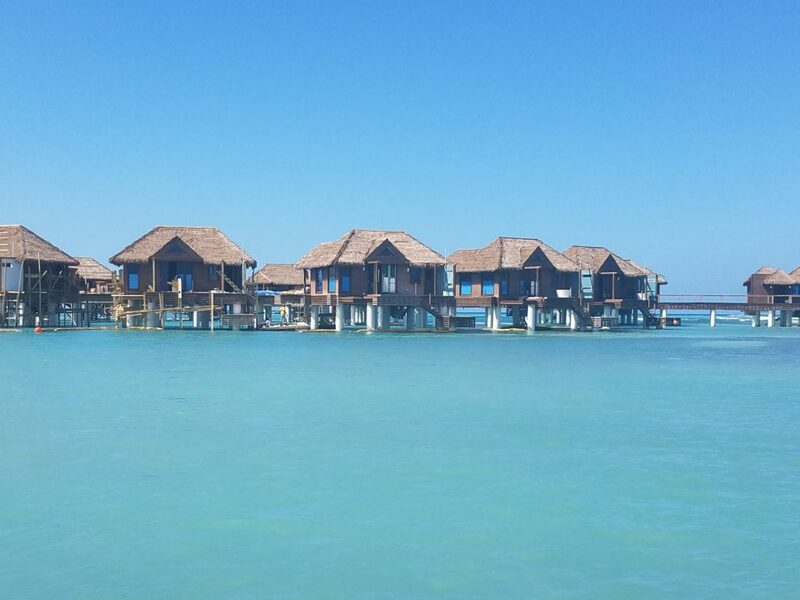 While we were at the Royal Caribbean resort, we go to see these beautiful over-the-water bungalows. A few of them are completed but most were still in construction. We were told that they are booked straight through 2018 already! The Royal Caribbean was pretty but I prefer the layout of Montego Bay better. The Royal Caribean was smaller, and not as open and inviting. It took us a few minutes to find the beach. They do have a boat that takes you out to their private island which is where we spent most of our day. I didn't have to worry about my budget while I was there. I could eat and drink whatever I wanted. Water Skiing, Scuba Diving, and Water Tubing – all free with the stay. Ability to visit any other Sandals in Jamaica for free + free shuttle to and from. The staff was SO amazingly nice. It was the best vacation I've ever had! To check for flights, use the app called Hopper or Airfarewatchguard.com. These two will show you the cheapest days of the week to fly. We typically arrange our flights around their calendars. We went with 2 other couples that are also bloggers. Holly and Greg Johnson from ClubThrifty.com and Grayson Bell with his wife Melissa. Grayson blogs at DebtRoundup.com and also runs a WordPress support company called iMarkInterative. 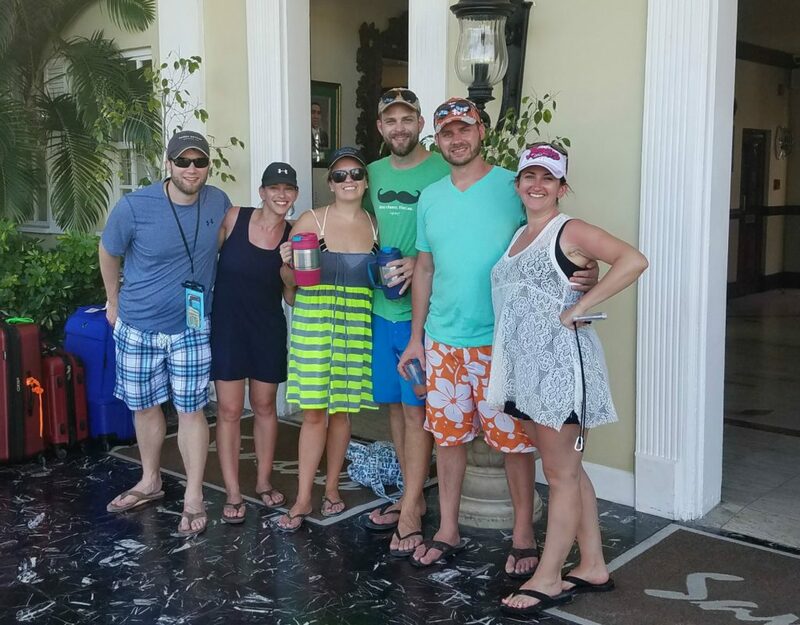 Going with friends made our vacation so much more fun! It was seriously the best week of my life, we plan on going back again next year! 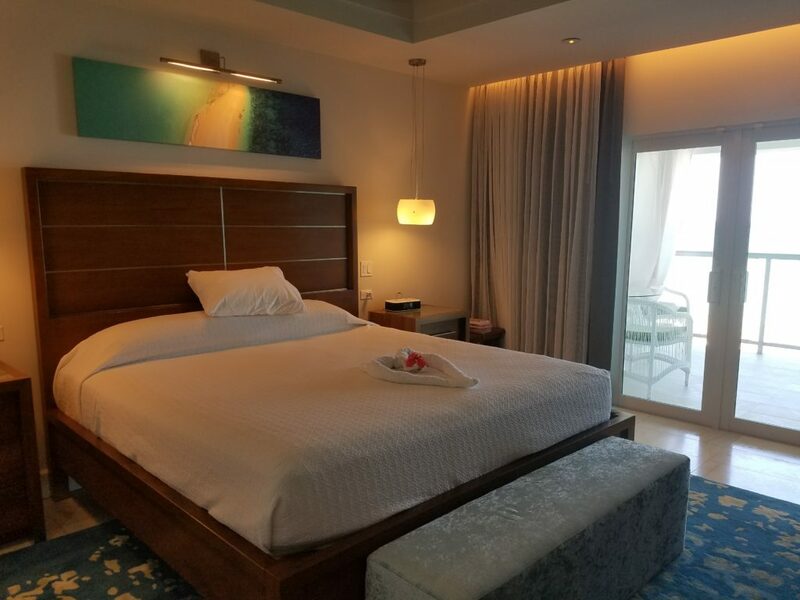 And here are some more pictures, just because I wanted to show you 🙂 Click here if you want to know more about Sandals Montego Bay. 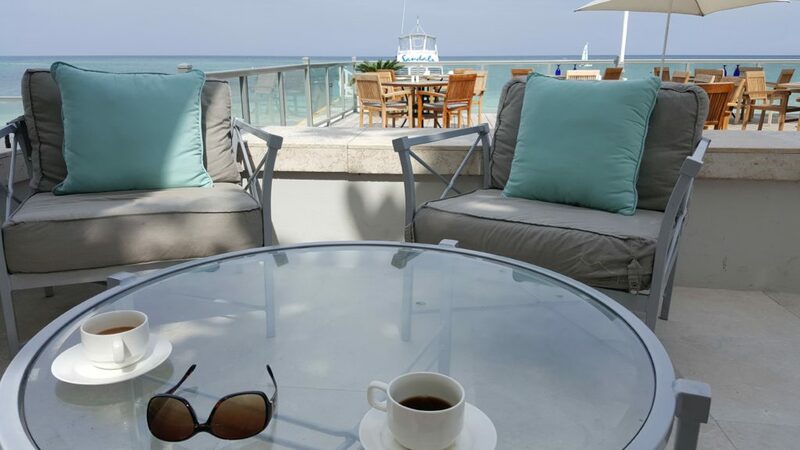 Have you ever stayed at a Sandals Resort? I would love to hear what you loved about it! Umm…I’m ready to go back right now! It was such an awesome trip and Sandals did right by us for sure. So great! I know! Especially since it is snowing so much here in NY. Oh my gosh we stayed at Royal Caribbean for our honeymoon and I forgot how pretty it was until you posted. I loved that once we paid for everything we didn’t have to buy anything else (except we did take advantage of the photo package – we were newly weds) I want to go back for an adult only vacation! The Royal Caribbean was amazing as well! Yes, you should go back for an adult only vacation. It was so worth it! Glad you had the opportunity !! That is awesome..keep on traveling ..life is short Enjoy and thanks for sharing!! 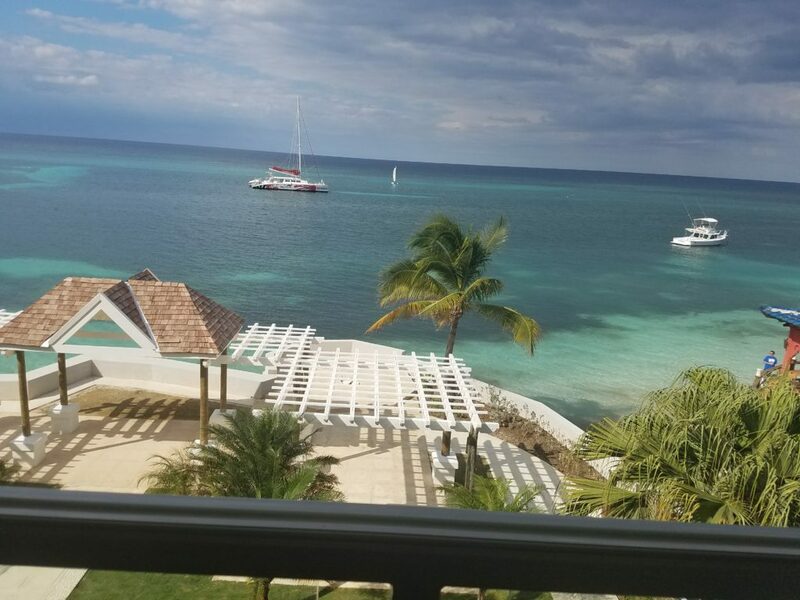 This past year we went to Montego Bay but stayed at another all-inclusive – Iberostar Grand Rose Hall. Also adults only. It was amazing. We used Club Mobay too. It was so worth the money! No long waiting in lines and a special lounge for when we arrived and also for our departure. I have me wanting to go back too, lol. We hope to bring the kids back this summer to a smaller hotel chain. I forgot to add that we saved up and paid for everything before we left. It was so nice knowing that there would be no credit card grief when we got back. That is awesome Jana! Isn’t it such a great feeling paying for it in cash! YAY! I must say that I’m highly disappointed that you discourage, rather than encourage, the use of a knowledgeable travel agent as part of saving money and making the most of your trip. Most travel agents do not charge fees to plan the perfect vacation for you while searching to get you the best price for your trip. Also, a great travel agent who listens to your wants and needs and creates the perfect trip for you can ultimately save you from thousands of dollars of regret. I do understand that there are some agents who charge fees, don’t make sure you’re getting the best bang for your buck, and who may not have your best interests in mind. However, there are many of us who find great joy in helping plan great vacations with our clients’ best interests at heart. Discouraging the use of travel agents would be like me discouraging the reading of blogs. Jennifer, I don’t think I discouraged the use of travel agencies. I just didn’t use one because we worked directly with the PR company to get media rates. I have friends who are travel agents and I think that it is a great profession! Thanks for the response, Lauren. It was probably the Expedia reference that triggered my response. There have been so many times that I’ve heard, “Oh, I found X hotel for $399 on X website.” Usually, it’s a property on my Do Not Sell Under Any Circumstances list, and other times it has an overnight flight that shortens the trip. Yes, those sites can be a good place to get an idea of costs, etc., but it’s even better to have someone with experience and knowledge to help you out and have your back in the event that something goes wrong. Especially if the price is the same or even better to go along with great customer service. 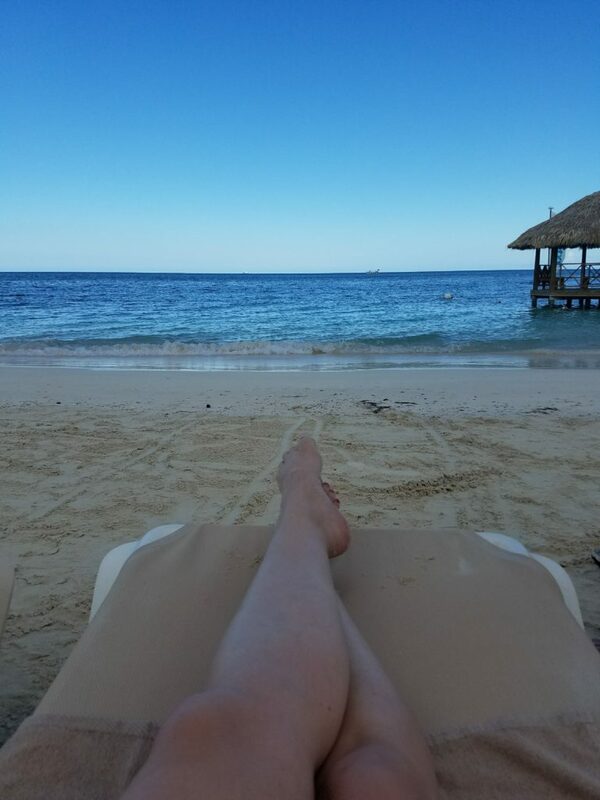 And, I definitely agree that going all-inclusive is a great way to budget…even if the budget doesn’t cover a property as great as Sandals 🙂 I also can’t argue with taking advantage of a special rate through your work. I totally get it – I am SO specific about where I stay and have used travel agents in the past. You all do a great job! We went to Sandals Royal Bahamian in 2009, it was the dream vacation we never thought we would be able to afford. Staff was wonderful, food is amazing, and the drinks- what can I say!! Would recommend it to everyone! Bahamas are British so the language is not a problem, we went into Nassau and felt perfectly safe. Loved every minute of it! Our daughter and her family are going to a Beaches in Jamaica in August, and I will be anxious to hear how they like it. Jeanette, I’ve wanted to go to the Royal Bahamian as well. That one is on my list of where to go next. 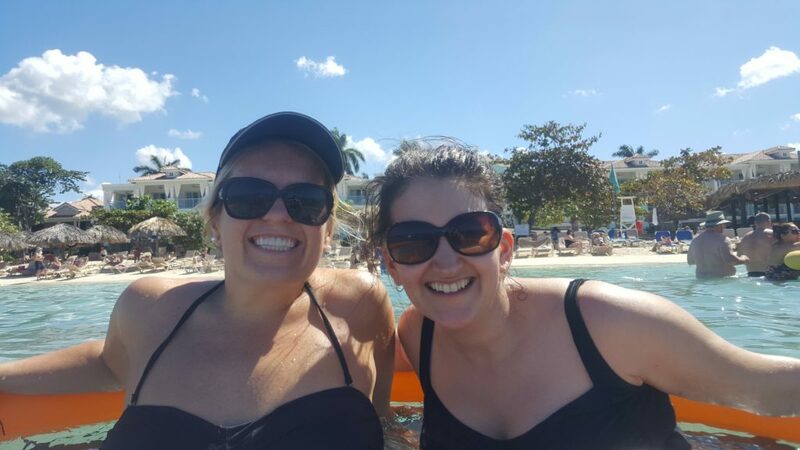 We looked into going to a sandals resort for our honeymoon but it was more than we could afford to spend so we opted for a Disney cruise since with a cruise we don’t have to pay for airfare since we live not far from a port. But I love that it’s all inclusive and we don’t have to worry about money for food. The only money you need is spending money for the shops. I’ve always wanted to go on a Disney Cruise. I would love that! We got married at Sandals Grande Ocho Rios in Ocho Rios, Jamaica in 2006. We had about an hour and a half bus ride from the airport. I think we would choose a closer one next time. We absolutely loved it and our wedding was free! The staff there is amazing and they ride around in golf carts to pick you up and take you whereever you want to go on the resort. We paid extra to go in town to shop and to swim with the dolphins at Dolphin Cove, highly recommend! We plan on going back, but probably to a Beaches. We want our kids to see Jamaica. Oh! And the best meal we have EVER had was our wedding dinner. They do have amazing food! Start saving 🙂 It is so much more enjoyable when you pay for it in cash before you go. When you go back, go to Sandals Negril for the day and stay until evening to catch the sunset. They should take you to where you can cliff dive or if your chicken like me just enjoy watching everyone else. 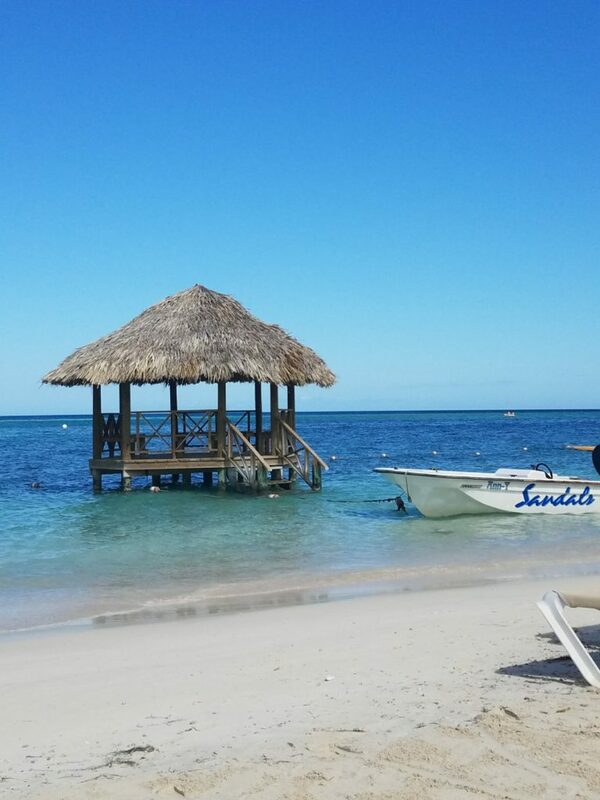 Sandals Resorts in Jamaica is an absolute must vacation! Stunning pictures from a breathtaking place, Lauren! Great read! Sorry, but would you mind explaining exactly what Club Mobay is? I know you mentioned it shortens wait times, but I’ve never traveled internationally, so I’m not sure what to expect overall. I’m looking into purchasing a roundtrip pass, but it runs at about $160 for two. My husband and I went to Sandals Emerald Bay in the Bahamas for our honeymoon and absolutely loved it! We are actually a little nervous about going to a different location because we loved the layout and atmosphere so much. Do you have any suggestions or pointers about that specific resort?